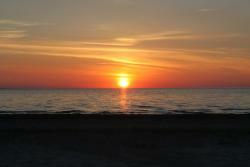 ​Wasaga Beach and the surrounding area has a lot to offer in the summer. It's not just about the many miles of famous sandy freshwater beach: There is a lot more to explore and to do for the whole family, kids and adults alike. Wasaga Beach boasts three 18-hole Golf courses, two Waterworld Water Parks, Paintball Adventure, Sea Doo and boat rentals, fishing charters and much more. Get your bicycle out and follow miles and miles of bike trails along the Georgian Bay shoreline or explore the backcountry by canoe on beautiful meandering Nottawasaga River. 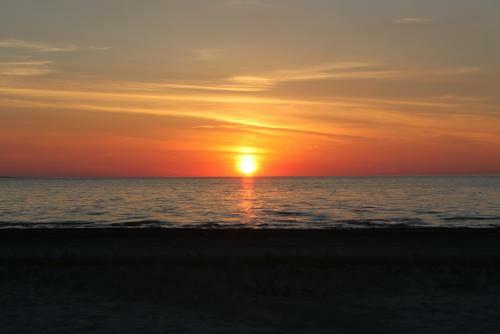 As the Town of Wasaga Beach puts it in its slogan: The Beach is just the beginning. The list goes on and on and on. Spend your vacation at Alton Lodges, Wasaga's Friendliest, and take advantage of its ideal location to enjoy all this and much more. 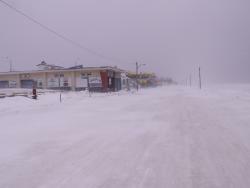 Wasaga Beach, that's Winter Wonderland. Spend your unforgettable winter holidays at Alton Lodges. Wasaga Beach offers snow mobiling at its best with access to a network of maintained snow mobil trails and miles and miles of groomed trails for cross country skiers and snow shoers at the Nordic Centre in Blueberry Trails Provincial Park. Alpine skiers will love the easy 30 minute drive to Blue Mountain, Ontario's largest ski resort. Enjoy the apres skiing at the Village. Call us to learn more about the Alton Lodges winter packages.